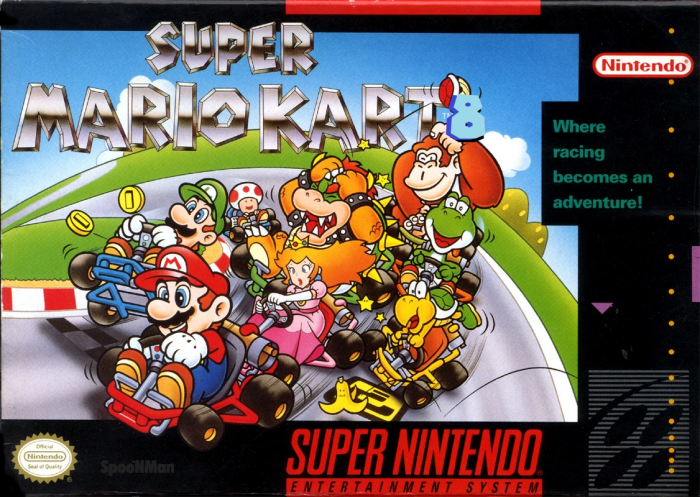 Super Mario Kart 8 is a Super Nintendo ROM hack based on the Super Mario Kart SNES game. 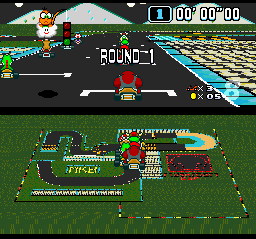 This hack is an attempt to recreate the likeliness of Mario Kart 8 within Super Mario Kart. Super Mario Kart 8 is a supposed demake of Mario Kart 8. Featuring many different stages not seen before and original variations on them not found in Mario Kart 8 or Super Mario Kart, and there’s a Battle Mode with 4 all courses to duke it out on. Although this hack tries to be like Mario Kart 8, it doesn’t quite understand just how extremely different the two games are. 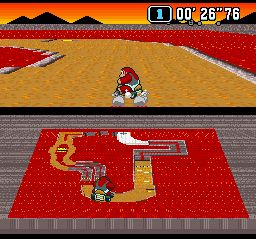 It takes a lot more than simple map changes to match the design of Mario Kart 8, and there’s only so much the original SNES title is capable of doing. You could still download Super Mario Kart 8 if just to see how different it is from the original Super Mario Kart; don’t expect this to really hit home for Wii U owners, though. If anything, this is pretty much its own hack. Question : Can I download and play Super Mario Kart 8 SNES ROM Hack? Answer : Yes 🙂 You can download Super Mario Kart 8 ROM from ROMHacking. The download links have been tested and are working at the time of posting this article, If you find the links don’t work please let me know by posting a comment below. Question : What Emulator Shall I Use To Play Super Mario Kart 8 (ROM Hack)?